The GITA Innovator Award evolved out of GITA's original Pioneer Award, which recognized the technological achievements of early adopters of GIS when few recognized the merits of the then-fledgling technology. Today, this award recognizes the affiliate organizations that have pushed the envelope of geospatial technology through the innovative development of a unique technology, service, or application to produce a new benefit stream for geospatial technology users. Candidates for this award include organizations whose vision and forward thinking has resulted in the successful implementation of a new and original geospatial application (or technology) that benefits their customers. 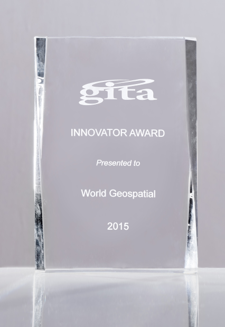 As a leading-edge provider of education and information for the worldwide geospatial community, GITA gives this award to honor and recognize innovation in its many forms. Nominations are open to any affiliate organization, including government agencies and nonprofits. 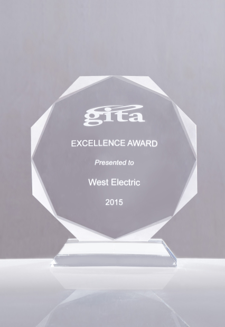 GITA's Excellence Award was created in 1993 to recognize user organizations for their outstanding application of geospatial technology in six industry categories: electric, gas, pipeline, public works, telecommunications, and water/wastewater. Candidates for the Excellence Award demonstrate dedication, insight, and a high degree of initiative in implementing multifaceted geospatial systems that incorporate multiple applications. The award recognizes the accomplishments of organizations that serve as exemplars of quality, whose overall geospatial project’s success leads others by the example they set. Nominations are open to affiliate organizations in the electric, gas, local government, pipeline, telecommunications, and water/wastewater industries. The Lifetime Achievement Award recognizes an individual's outstanding contribution and longstanding commitment to the geospatial industry. A specially appointed blue-ribbon panel of experts representing geospatial users, solution providers, academia, publishing, government, and business, carefully evaluates nominees for this prestigious award using a stringent set of criteria. Candidates for this award include those whose pioneering spirit and demonstrated dedication have contributed greatly to the geospatial industry and whose example serves as an inspiration to others. Nominations are open to any current or former member of the geospatial community. 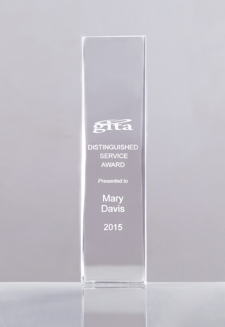 The GITA Distinguished Service Award is bestowed on an individual for extraordinary personal contribution to the mission and success of the association. 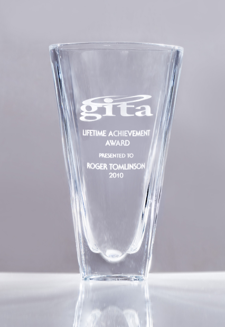 Candidates for this esteemed award have many years of dedicated service to GITA, giving unselfishly of their time and energy to advance the association. Their purposeful commitment has made a definitive and positive impact on the association. Winners of the GITA Distinguished Service Award recipients are also inducted into the GITA Hall of Fame. Nominations are open to any current or former member of GITA North America. Since 2012, GITA awards for the proceeding year have been presented as part of Pipeline Week activities which typically takes place in the Houston,Texas metro during early fall. Consequently, in order for the Awards Committee to have adequate time to consider candidates, select winners, and get the appropriate awards created, the annual cutoff date for all nomination submissions is August 15.